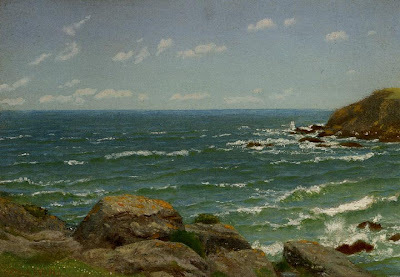 Pre Raphaelite Art: Arthur Hughes - Bessy Cove. c. 1899. "Bessy Cove is part of the Prussia Cove group, near Rosudgeon in Cornwall." — Rupert Maas, p. 82.